JAMESTOWN – A Jamestown man was arrested on drug charges following an investigation by the Jamestown Metro Drug Task Force. City police say 39 year old Lynn Jackson Jr. was charged with third- and seventh-degree criminal possession of a controlled substance and criminally using drug paraphernalia following a search of his residence at 196 Barrett Ave. around 11 p.m. Tuesday. Jackson was allegedly found with 59 bags of heroin and less than 1 gram of fentanyl. Investigators also reportedly found cash and suboxone strips. He was taken into custody and transported to Jamestown City Jail for arraignment. 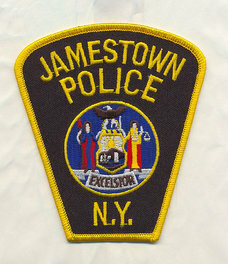 Jamestown police asked anyone with information regarding illegal sales or trafficking of narcotics to call 483-Tips (8477) or leave information through the Tips 411 cellphone app.